I typically do not promote or advocate any anti-aging strategies. It’s mostly because I find they don’t do much good and many are the snake oil of the day. Ads mislead people into thinking a cream or procedure will make them look younger—remove wrinkles, smooth skin, and restore youthful appearance. At the least, they don’t make any difference at all. At the worst, they turn naturally aging faces into bizarre masks that resemble aliens from outer space. Regardless of what these so-called remedies may do to the outside, the pursuit of them does damage on the inside. How can we have a healthy self-image if we are striving so hard to undo our natural appearance? 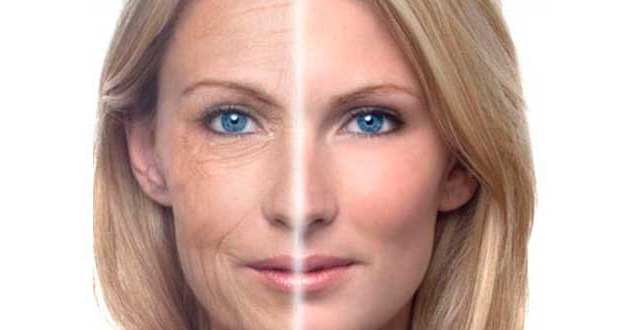 What the anti-aging industry does is feed our hatred of our future selves. But there is a way to take 10 years off your face…one that contributes to your well-being as well as to your self-esteem. 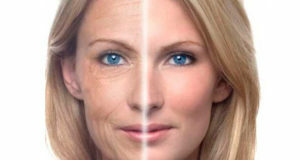 It will not only make you look younger, it will add energy and joy to your life. And it doesn’t cost you a penny. What am I talking about? The secret to quickly looking 10 years younger (or more) is to drop the most toxic thing in your life. It might be a partner with whom you have invested many years, but who makes you very unhappy. It could be a job that you cling to out of fear, but brings you misery every day. Look around at your life and see what you’ve been holding onto that no longer serves you. I ran into a friend whom I hadn’t seen in over a decade. Back then, she’d always looked to be at least 10 or 15 years older than I was. When we met for lunch recently, I almost didn’t recognize her. Standing outside the restaurant in bright sunlight, I could swear she was now 10 or 15 years younger than I am. As we spent time catching up, she shared that she had gotten rid of a husband who’d given her a lot of stress. Now freed from that situation, she looked refreshed and rejuvenated…and a lot happier. A smile can brighten any face. Releasing that which is holding you back will not only make you smile, it will lift your heart and give you a younger, relaxed face—without any nip-and-tuck. All you have to do is be willing to decide who and what you will and won’t allow to be in your life. Make the choice to drop whatever is causing you pain. You’ll get to move on unburdened by that which has been dragging you down for too long. When you make up your mind to let it go, you give yourself permission to have a better life. And it will show up on your face.